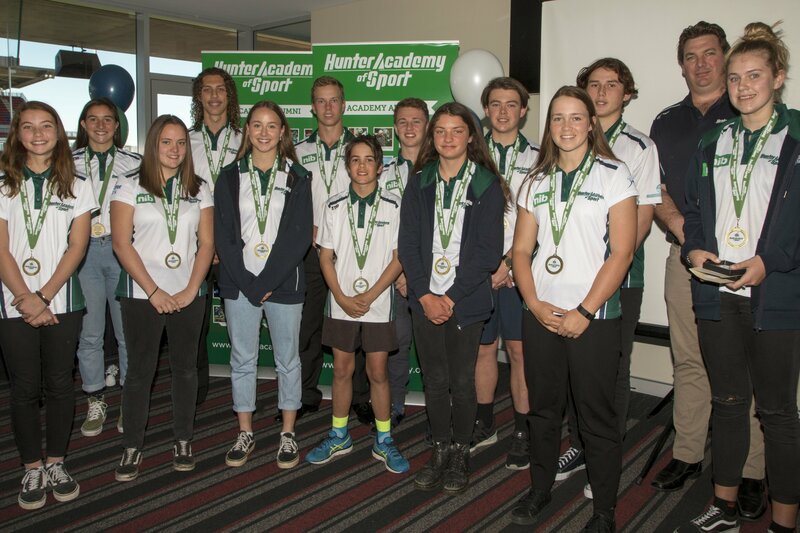 Twenty-one Hunter athletes have been recognised for their talent and dedication at the 2018 Hunter Academy of Sport Awards Ceremony held at McDonald Jones Stadium on Sunday, 16th September 2018. Close to 200 people attended the ceremony, celebrating a huge year for the Academy and it’s athletes. Basketballer Chyra Evans was named the 2018 Athlete of the Year after being selected in the NSW Under 16 Country side as the captain. She was also selected to attend the Basketball Australia Development Camp at the Centre of Excellence in Canberra and was part of the Under 17s NSW Country development tour and is a National Performance Program scholarship holder. Best and Fairest: AFL Development: Asha Turner-Funk, Cooper Higgins; AFL Womens: Arizona Cross; Athletics: Keira McGregor, Leroy Reid; Basketball: Chyra Evans, Kaia Isaac; Cycling: Louis Stibbard; Golf: Joshua Fuller; Harness Racing: Grace Campbell; Hockey: Lily Burgmann, Lachlan Mills; Lawn Bowls: Connor Freeman; Netball: Melissa Winter, Netball Umpires: Caitlin Yallop; Softball: Grace Wrixon, Joshua Banks; Surfing: Jordan Liackman; Tennis: Mika Hosoi, Riley Courtney; Triathlon: William Passlow.